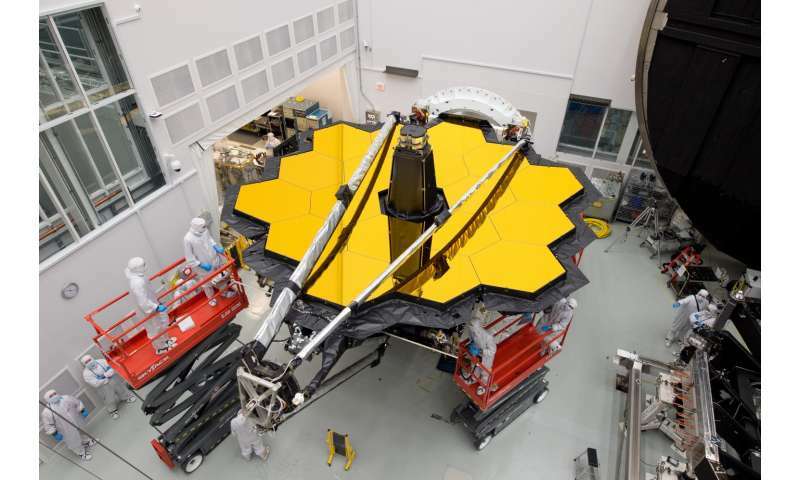 NASA's special "Webb-cam" kept an eye on the development of NASA's James Webb Space Telescope at NASA's Goddard Space Flight Center in Greenbelt, Maryland, since 2012. Now that Webb telescope has moved to NASA's Johnson Space Center in Houston, Texas, a special Webb camera was installed there to continue providing daily video feeds on the telescope's progress. Space enthusiasts, who are fascinated to see how this next generation space telescope has come together and how it is being tested, are able to see the telescope's progress as it happens by watching the Webb-cam feed online. There were two Webb-cams at NASA Goddard. Those cameras, which were mounted inside the giant cleanroom, provided still photos (refreshed every minute) of the activity inside and gave a peek at what engineers and technicians were doing to the telescope as it came together. Over the last five years, Webb-cam viewers saw some amazing images of the Webb at Goddard, such as when all 18 gold-coated mirror segments of the Webb's primary mirror were mounted on the telescope. "The two Webb-cams we installed in Goddard's giant cleanroom have developed a huge following over the last five years," said Maggie Masetti, social media manager and web developer on the Webb telescope mission at NASA Goddard. "With millions of views every month, you can bet that if there was a camera glitch, we heard about it right away." The new "Webb-cam" is mounted where it has a view of the cleanroom at NASA Johnson Space Center. The camera fronts the chamber where the Webb telescope will be undergoing cryogenic testing in a massive chamber called "Chamber A." Although there is no view of Webb once it is inside the chamber during the actual cryo-optical testing, there will be much activity on Webb in the cleanroom itself for several weeks before and after. 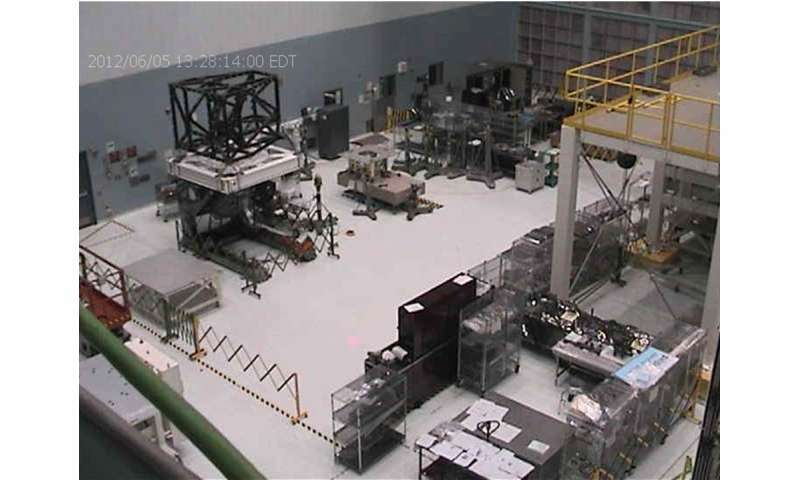 The Web camera at NASA's Johnson Space Center can be seen online at: http://jwst.nasa.gov/, with larger views of the cams available at: http://jwst.nasa.gov/webcam.html.